Is aromatherapy safe and effective to use on dogs? 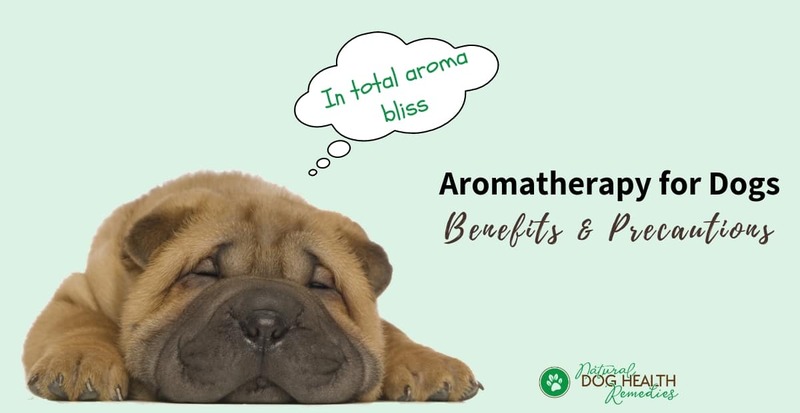 Yes - Aromatherapy is effective in helping to treat and control a number of dog health problems and behavorial issues, such as skin irritations, joint pain, motion sickness, anxiety, flea/tick infestations, and much more. But the catch is, you need to know which essential oils are safe to use, and how to use them. You see, not all essential oils are safe. Some can cause minor problems such as skin irritations, while others may even cause liver damage if used improperly! That's why we have to use extreme care when applying essential oils to our dogs, as their bodies are smaller and their skin is more sensitive. What is Aromatherapy for Dogs? What are Essential Oils? What are Hydrosols? Which Essential Oils are Unsafe for Dogs? How can I use Essential Oils on my Dogs? 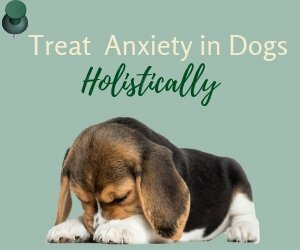 Aromatherapy refers to the therapeutic use of 100% pure essential oils and hydrosols for holistic treatments of physical and behavioral problems in dogs. Aromatherapy is not limited to the use of grooming products that contain essential oils. It means more than that. It refers to the use of a pure essential oil, or several oils combined, for a certain healing purpose. For example, to help to control or manage a particular health problem, or to enhance the overall health and wellbeing of the dog. You may have noticed that I have bolded the words "pure" a couple of times. It is intentional because I can't emphasize enough the importance of using 100% pure essential oils when treating your dog. Do not try to save money and buy cheap "essential oils" that contain synthetic substances. They will not have the therapeutic effects and, even worse, the synthetic substances and chemicals may do harm to your dog. An essential oil is a volatile substance contained in the glandular hairs, sac, or veins of different parts of a plant, such as the leaves, flowers, bark, roots, seeds or fruit. They are the "essence" of that particular plant form and are responsible for giving that plant its unique scent. Contrary to what most people think, essential oils are non-oily. They are highly concentrated and should almost always be diluted before use. Each oil has its own individual properties, such as scent, color, chemical properties, and healing effects. On a physical level, many essential oils are antibacterial, antiviral, antifungal, anti-inflammatory, and detoxifying. On an emotional level,some essential oils can be sedative or stimulating. A hydrosol is a water-based substance which is a by-product obtained during the steam distillation process of an essential oil. A hydrosol contains water-soluble parts of a plant as well as very small amount of some essential oil components. Since hydrosols are not highly concentrated like essential oils, they can be used undiluted as is, or essential oils can be added to a hydosol for synergistic effects. Essential oils are highly concentrated and therefore extremely potent. When using essential oils on our dogs, we should be careful not to overuse them. Always dilute essential oils with a carrier oil (such as olive oil, sweet almond oil, etc.) before use. 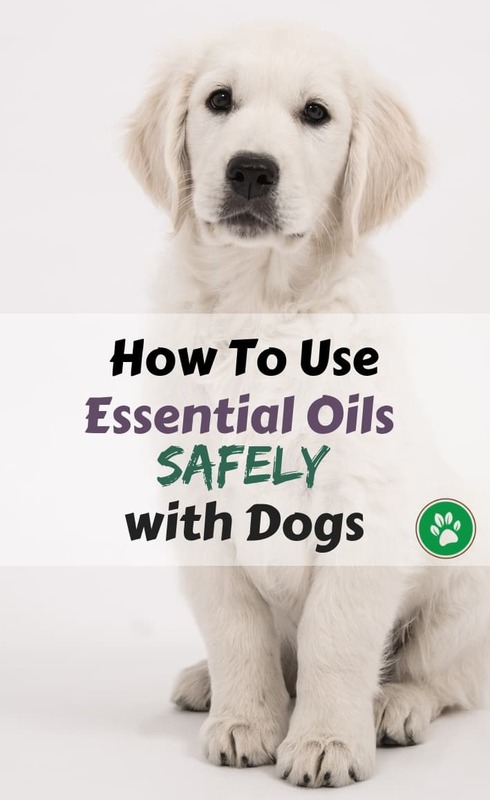 If we choose essential oils that are safe for dogs, and use them in diluted form, they are generally safe to use on dogs and have a positive therapeutic effect. Having said that, bear in mind that all dogs are different and may react very differently to even the same oil! 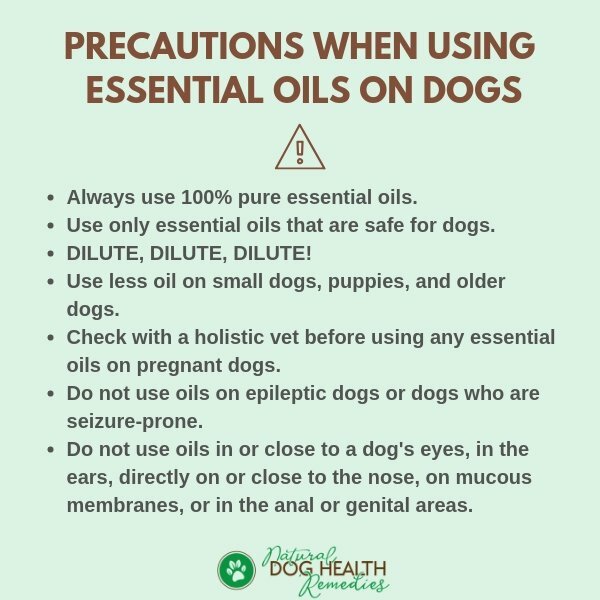 So if you are using essential oils on your dog for the first time, take extra precaution. Also, just because essential oils are "natural", doesn't mean that they are all safe to use. Some essential oils, diluted or not, are unsafe for dogs and use of such oils should be avoided altogether. 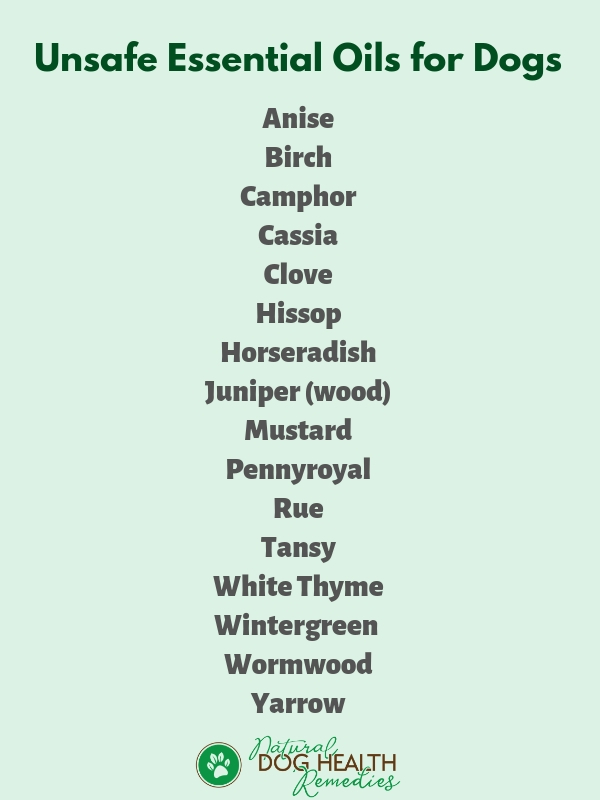 Because of uterine stimulation or possible toxicity, avoid using these oils on dogs, especially on pregnant dogs. *The oil of Juniper berry is perfectly safe, but the Juniper wood oil is toxic to the kidneys. Some aromatherapy formulae found on websites suggest using the oils birch and wintergreen for joint pains caused by arthritis. However, dermal use of these two oils has been proven to be toxic as they contain high levels of methyl salicylate. Ingestion can cause severe poisoning and death. These oils can cause dermal irritation and possible toxicity to both people and pets. Due to the pungent properties of these oils, they are considered to be hazardous and may cause severe dermal irritation. Although this oil is effective in repelling flea, it is also highly toxic to the kidneys and the nervous system. It is also a known abortifacient. Avoid using this oil on pets and yourself! This oil is a terrible photosensitizer. Both the herb and the oil wormwood are toxic to pets and should be avoided at all costs, even though some people suggest using wormwood for treating worm infestation. There has been reports of wormwood essential oil causing renal failure in humans. It is also a known fact that wormwood causes seizures, and possesses very high oral and dermal toxicity. Aromatherapy for dogs can be applied topically (i.e. on the skin), by diffusion and inhalation. Topical application is the most commonly used technique, and the oils are applied directly to the area(s) needed. The oils penetrate the skin and are quickly absorbed by tiny capillaries which carry them to the bloodstream. Essential oils can be topically applied via massage, or via spritzers, sprays, and of course the oils can also be added to shampoos, conditioners, salves, ointments, etc. Remember, the oils have to be diluted before use. Carrier oils, such as olive oil, jojoba oil, sweet almond oil, can be used. Petting is another, less "intense" way of applying oils topically to a dog. What you can do is, put diluted essential oils on your hands, rub them together until a light film of the desired concentration is on the hands. Then pet your dog using both hands. This is good for addressing canine emotional issues, such as anxiety, stress, depression, etc. The oils as well as the petting can calm the dog right down. Diffusion and inhalation is another way to practice aromatherapy for dogs. A diffuser is used to evaporate the oils which are inhaled by the dog. Leave the diffuser on for about 20 to 30 minutes in order for the dog to inhale and absorb the oils. You should be able to see result if you repeat this procedure twice daily for five to seven days. Some people wonder if essential oils can be given to dogs orally. Oral application of essential oils to dogs should only be done under the supervision of a holistic veterinarian who has properly training in aromatherapy. As the oils are highly concentrated and potent, extreme care has to be taken to avoid overdose. And of course, some essential oils are simply not suitable for ingestion at all. For home remedies, therefore, limit yourself to the first two techniques (topical application and inhalation). Always use 100% pure essential oils on dogs (and humans). Use only essential oils that are safe for dogs. Always DILUTE essential oils before using them on your dogs. A rough guideline is to add about 3-6 drops of essential oils to 1 oz. (30 ml) of carrier oil, or about 18-25 drops of essential oils to 8 oz. (240 ml) of shampoo. Use less amount of diluted oils on small dogs than on big dogs. Use less amount of diluted oils on puppies, senior dogs, and those whose health is compromised. When in doubt, start off with hydrosols. Check with a holistic vet before using any essential oils on pregnant dogs. In particular, do not use stimulating oils (e.g. peppermint, rosemary, tea tree) on pregnant dogs. Do not use oils on epileptic dogs or dogs who are seizure-prone. 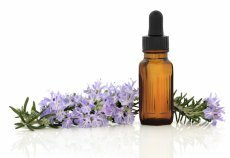 Some oils, such as rosemary, may trigger seizures (in humans too). Want to know if tea tree oil is safe for dogs? Visit our page on Tea Tree Oil for Dogs for more information. Want to know how to use lavender oil on dogs? Visit our page on Lavender Oil for Dogs for more information. Want to know if peppermint oil is safe for dogs? Visit our page on Peppermint Oil for Dogs for more information. 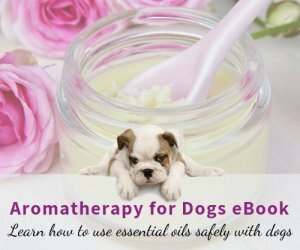 How can you diffuse essential oils safely around dogs? Visit this page to find out. Want to try using hydrosols for your dog? Visit our page on Hydrosols for Dogs for more information. Which oils and hydrosols are good to treat minor dog skin issues? Visit our page on Essential Oils for Dog Skin Health for more information. Want to know which oils and hydrosols are safe for use on older dogs? 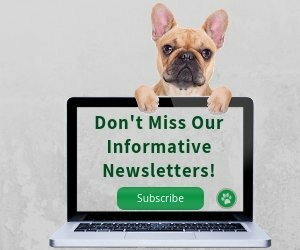 Visit my new blog Pawsome Oldies to get that information!